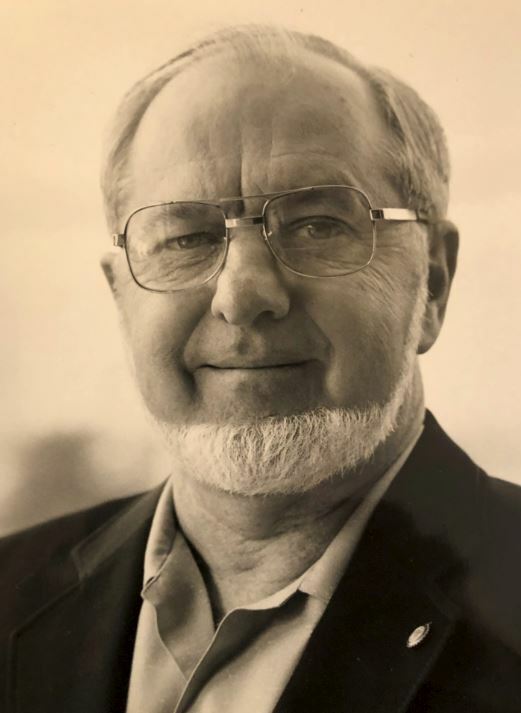 Wendell D. Kirby 85, died March 31, 2019 at Newton Presbyterian Manor. He was born August 24, 1933 at Arlington, Kansas to Taylor C. and Nina E. (Reynolds) Kirby. He was retired as a dispatcher in 1994 after 27 years with the Metropolitan Water District of Southern California. On June 28, 1953 he married Barbara Jane Parker and they were later divorced and she preceded him in death on October 27, 1993. He later married Caroline Wills on August 12, 1973 in Parker, Arizona and she survives. Wendell was a 1951 graduate of Newton High School. He served his country in the National Guard being discharged in 1955 earning the rank of Sergeant. While in the National Guard he worked in radio and communications. Wendell is survived by his wife Caroline of Newton, KS; children: Debby and Lloyd Stoddard and Denise and Kelly Hayes both of Newton, KS; Kathy and Rick Fitzjarrell of Katy, TX; Shannon Wills of Cedar Park, TX; Tim Wills Anaheim, CA; Teri Wills Lake Havasu, City AZ; sister: Deanna and Leroy Schelske, Lancaster, CA. He is also survived by his grandchildren and their families: Sarah (Andy) Groening and Della; Amber (Tom) Baker, Katelyn and Ian; Aaron Quarles, Laina and Grace; Carson Hayes; Emilee (Jason) Kelly, Lela and Henry; Tiffany Hayes; Ian Fitzjarrell; Ryan (Meäxghan) Fitzjarrell and Kingston; Jeremy (Jamie) Fitzjarrell, Tyler and Tanner; Charlie Thomas; Jeffrey Thomas and Andrew Thomas. Wendell is also survived by several nieces and nephews. A memorial service will be 10:30 a.m. Friday April 5, 2019 at Trinity Heights United Methodist Church with The Reverend Donna Voteau presiding. The family will greet friends one hour prior to the service at the church. Burial will be in the Restlawn Gardens of Memory rural Newton, Kansas. Memorials are suggested to Newton Presbyterian Manor or Good Shepherd Hospice in care of Petersen Funeral Home. So very sorry for your loss of your Father our thoughts and prayers are with you and your family. We are so sorry to hear about W.D.s passing! He was a good friend and coworker! We shared many “war stories” over the years! He will be missed! Stay safe Caroline!!! KIRBY was my good friend always there when i needed help. YOU HANG IN THERE CAROLINE. I’m sorry to hear this sad news. I always liked Mr. KIRBY. My condolences to his family. So sorry to hear of your loss! My prayers and condolences go with you. I knew Mr. Kirby as a teenager. My father, Ed Smith worked on the pump crew at Gene Camp and later as Intake maintenance.